Here’s some of our media coverage from throughout the years – some of them are oldies but goodies! These fruits are anything but garden variety. Amid the giant farms in California’s Central Valley that supply the everyday oranges and grapefruits stocked by supermarkets all over America lies Rising C Ranches. Owned by Eric and Kim Christensen, Rising C is a small operation selling about 40 unusual citrus fruits, including the chandler pummelo, variegated pink lemon, buddha’s hand, heirloom navel orange, and more blood orange-all grown with painstaking care and notable for their depth and intensity of flavor. Here is something many of us do not know about citrus: It is a winter fruit. That is not because we still charmingly and mostly incorrectly look to it to ward off or shorten the stay of wintertime coughs and sneezes. It is because nearly every variety of orange or grapefruit or lemon or lime ripens at the year’s end. “Citrus is fully ripe when the days are shortest when the sun is at its lowest point in the sky,” explains Eric Christensen, whose Rising C Ranches in California’s San Joaquin Valley sell an incredible variety. Say “citrus fruit” to most Americans, and you’ve inspired a cluster of images that includes flamingos, the Orange Bowl and Miami Beach-for Florida, due to its large citrus industry, and its historically large PR budgets, has grabbed the flag in the popular imagination as “the citrus state.” All of which might lead you to believe that walking into your super­market in January, the height of citrus season, is sure to net you some terrific navel oranges from Florida, no? It looks like some lab experiment gone wrong, with its bunches of gnarled, yellow protrusions. But the curiously named Buddha’s Hand is actually one of the world’s oldest citrus fruits. FOR over a century lemons came in only one model in the United States: oval, yellow and tart. The California and Arizona lemon industry thrived and saw no reason to change. But lately some flashy new styles have arrived, with pink flesh and green-striped skin, or bright orange rind and pulp. One is the size of a grapefruit, and another is mild and delicious enough to eat as a fresh fruit. And seedless varieties are arousing a flurry of interest. An Orange Whose Season Has Come Navels thrive in the interior valleys of Southern and Central California, where hot, dry summers add sweetness and cool winters deepen color and retain adequate acidity. By comparison, Florida-grown navels, available from November to January, are larger, paler and thinner skinned, with juicier but relatively insipid pulp. “I wasn’t a very religious person when I got into this business,” Eric Christensen said. “But I’ve become one over the years, because mother nature throws so many things at you.” The business in question is the citrus industry, where Mr. Christensen holds a specialized niche. He and his wife, Kim, run Rising C Ranches, a small California operation that’s become a leading purveyor of hard-to-find citrus fruits.  From Your Kitchen includes recipes like Orange bitters, Lemon vodka, Candied citrus peels and more, with a mention of Ripe to You®. These homemade citrus gifts capture the West in every bold bright bite. Lists recipes with a mention Ripe To You®. CA GROWN is a membership-based, public relations and marketing organization that promotes California agriculture in the state, across the USA, and around the world. To specifically feature California specialty crops, CA GROWN launched a Guest Instagram Takeover program that gave us the opportunity to showcase what we do best: Fresh California Citrus! In recent years, the trend in the California citrus business is evident. Specialty varieties of citrus fruit such as mandarins and tangerines continue to find new customers. The Rising C Ranch in the small Central Valley town of Reedley is a perfect example of how specialty citrus is booming.